I trekked up to the 苏州市档案馆 Suzhou Municipal Archives from Shanghai this morning, mostly for naught. The Suzhou Municipal Archives does not have a functioning online catalog, so I was not terribly sure of what to expect before I arrived. I came to the archive and proceeded as usual, handing over my letter of introduction and passport and then filling out a registration form. 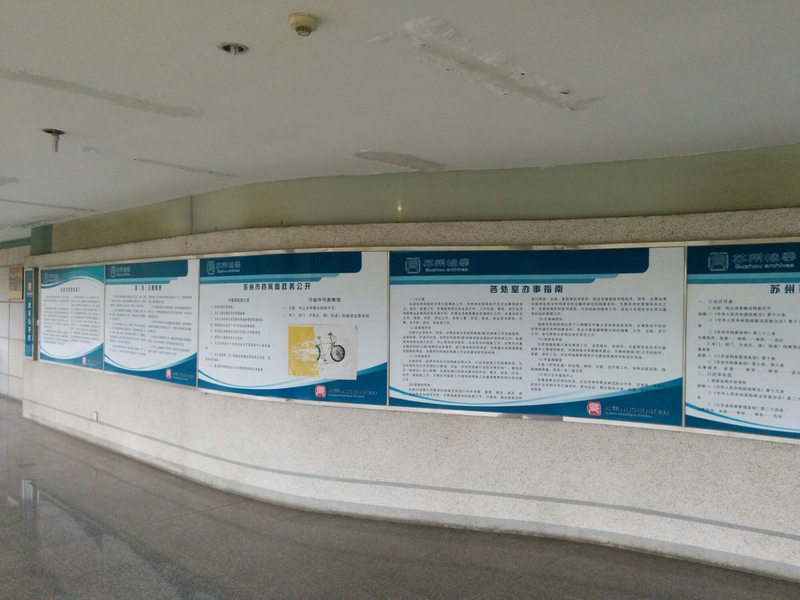 According to rules posted above the registration desk, foreigners should contact the municipal and provincial archives 30 days in advance to arrange their research in Suzhou. The staff asked me if I had contacted them before, to which I explained the Provincial Archives in Nanjing had assured me they made proper arrangements on my behalf. 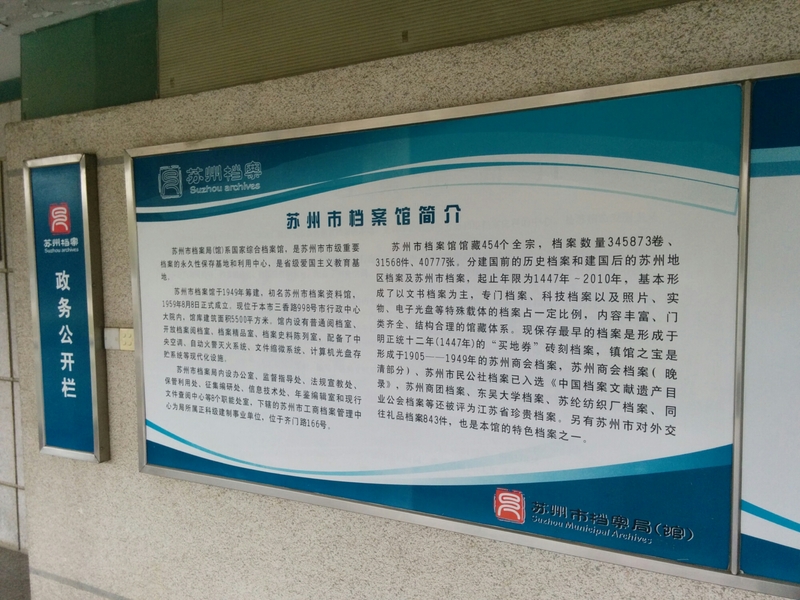 This seemed to satisfy them, because, unlike at the Wuxi Municipal Archives, I didn’t have to call the Jiangsu Provincial Archives to have them explain the situation to the staff. The staff at first told me there were no catalogs describing the “open” materials available for the public. Some archives do not maintain separate open/closed catalogs, and therefore don’t make any catalogs available to researchers—instead, you tell the archive what you are researching and they search the catalogs on your behalf. I’ve described before how frustrating this is, since staff usually don’t know the ins-and-outs of my research project like I do, but at first it seemed like this was the only way things worked at the Suzhou Municipal Archives. A young woman came back a few minutes later and said that they did not have anything related to my project. I tried explaining my project in a little more depth, suggesting keywords she might look out for while scanning the catalogs. She still said “no luck.” I found this a little hard to believe, since I know that several hundred to several thousand young people from Suzhou were sent to Xinjiang in the mid-1960s. How could the municipal archives not have a single record of this episode? Wanting to be helpful, the staff offered some books related to my project for me to consult. I don’t think they realize how often foreign researchers hear this refrain (“you’re looking for ziliao (materials)? Here’s some books!”). They probably also don’t know I could read these books practically in my backyard, at the Library of Congress. I chatted with the man—who was not a staff member but a daily visitor to the archive—for a while. He recounted some of his experiences in Xinjiang and then explained how the Suzhou Municipal Archives does not have much open materials on this subject. I pulled out some files from the Shanghai Municipal Archives to show him and told him of the materials I found in the Jiangsu Provincial Archives–all of which implied I didn’t buy that the Suzhou Municipal Archives didn’t have squat. The catalogs at the Suzhou Municipal Archives were, like other municipal archives in Jiangsu (Wuxi, Nanjing, for example), not terribly large. When I opened the log books, I mostly saw empty white space. This suggested to me the bulk of the post-1949 holdings are still classified. My conversation with the old man confirmed as much. He complained several times that many old files were still unavailable to the public. I still scoured the catalogs, looking for something to request. 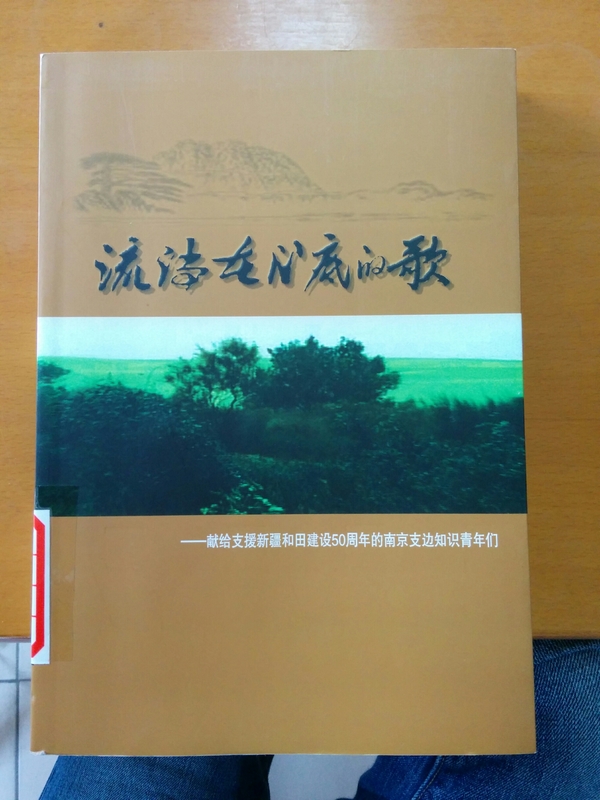 I ended up asking for two folders from the Municipal Labor Bureau because the title-level descriptions of the folders used the term “streamlining office” (精简办公室)—an institution often involved in efforts to depopulate the cities and send young people to the countryside in the 1960s . Unfortunately both folders contained only very mundane files about salary regulations for urban workers and I turned them back in almost immediately. I ended up leaving the Municipal Archives fairly quickly and even cancelling my hotel reservation in Suzhou. This was quite a disappointment. I would not suggest coming to the Suzhou Municipal Archives unless you are researching Suzhou’s history or happen to be in town for some other reason. Then again, I hope someone proves me wrong. The Suzhou Municipal Archives is located at 苏州市三香路998号, inside of the Municipal Government compound. Enter off of 馨泓路, through Gate No. 6 (六号门). The reading room is on the 3rd floor of Building #7.